In today’s world, candles are widely used by people across the globe, whether for birthdays, aromatherapy and relaxation, or just to create a romantic ambience. Scented candles, especially, have gained popularity over the years. However, the sad part is that the candles do not last that long. Also, the smoke, flame and wax don’t make them very safe, especially around children. So what do you do if you want to make your home or office fresh and fragrant, but cringe at the thought of using those air fresheners which stink more than spreading fragrance?? The answer is Reed Diffusers. Many people are oblivious to the benefits of using Reed Diffusers and are not aware of what exactly they do. So today’s post is all about Reed Diffusers! Reed sticks are used for this. People often think that the sticks used are made of ‘wood’ or ‘bamboo’ when actually it is neither. It is just the ‘reed’ fiber. The reason for using reed is that it is extremely porous, making it easier for the pores to absorb the fragrance from the essential oils and diffuse them in the air. The basic concept of Reed Diffusers is to dip reed sticks in the diffuser base or essential oil of your choice, so that the reed sticks absorb the fragrance from the oil and release it in the air. 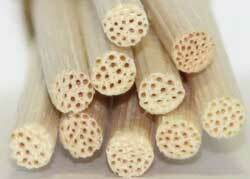 The porous nature of the reed sticks makes them the most effective medium. How to use Reed Diffusers? Reed Diffusers are the most simple and mess-free way of keeping your home or office space fragrant and pleasant. Simply place the reed sticks in the bottle containing the oil. Turn the sticks over, so that the side which was earlier inserted in the oil is now exposed to air. The sticks start absorbing the oil, carrying it to the top and diffusing the fragrance into the air. You may flip the sticks upside down occasionally. These should last you for several months, post which you might just have to refill the bottle with more oil, or replace the oil-saturated reed sticks. The best thing about Reed Diffusers is that they do not need heat, do not emit smoke, are non-messy and safe! Moreover, they last for months! So, isn’t this the most eco-friendly and clean way to keep your home fragrant and welcoming? Check out the latest collection of Reed Diffusers only at Art and Decors!